Well now, the worm is turning on our old friend trunip ain’t it? 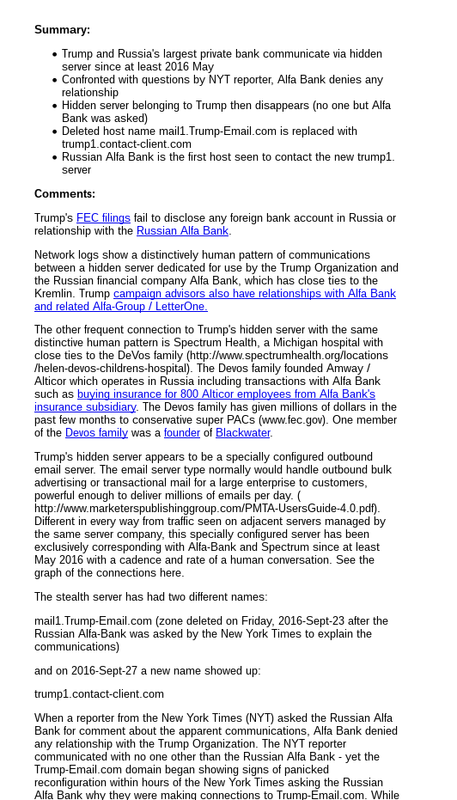 It seems that something I was playing with back last April should have dug deeper I guess because today Mother Jones put up a post on how Donny’s domains had shadow subdomains that all pointed to Russia! Of course in the interim since the post went public two things happened. One, Donny and his people said “We ain’t been hacked! We have the BEST security! Nothing to see here!” and then rather rapidly. 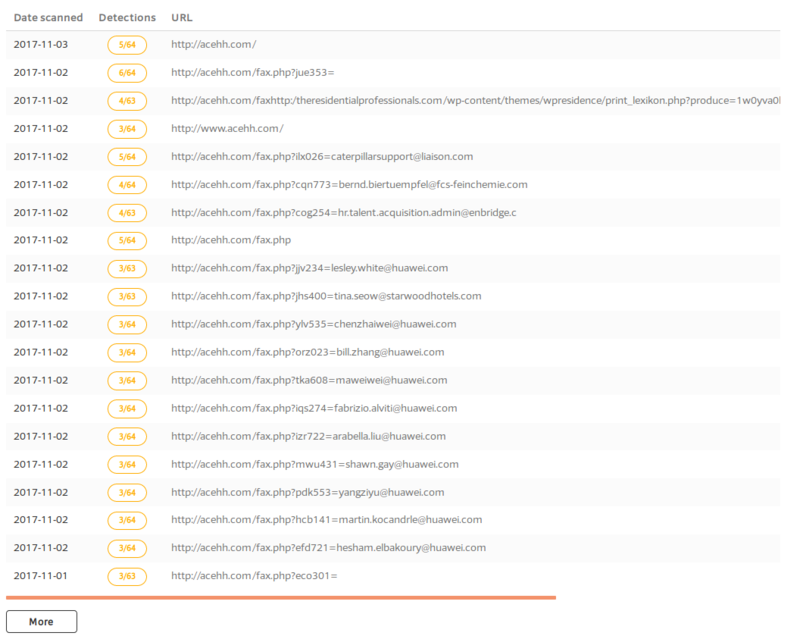 some of the domains started to go down and be unreachable on the tubes today! Well, I did some more digging after reading this Mother Jones post and while I was not seeing the same IP addresses used in the stuff that was posted today, the malware I was seeing back in April still had some commonalities to ranges in the same region of the world. 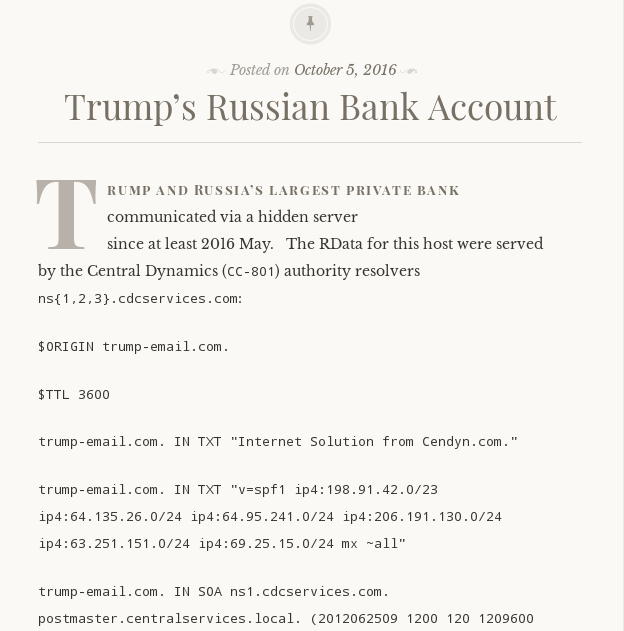 Back in 2014 Trump was hacked and credit cards were stolen by the attackers. 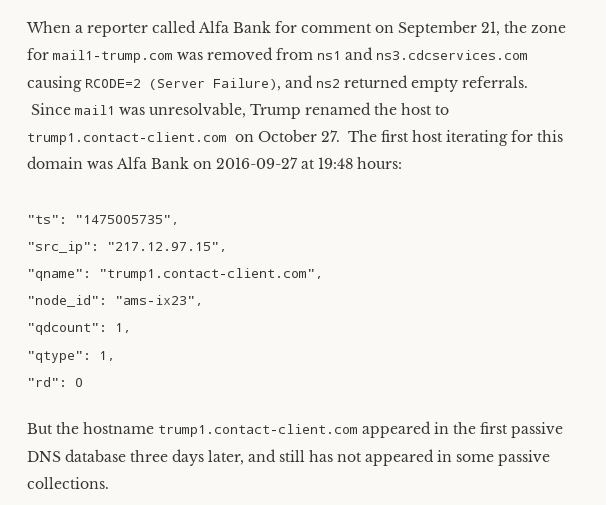 It seems though that perhaps it wasn’t only credit cards that were hacked but also a persistence to the network may have occurred as well as access to the Trump domains registrar as well. In the Mother Jones piece they show how sub domains or “shadow” domains had been created with interesting domain names that usually involved random letters. These domains, once you start looking at them show a couple of things. First off, that these domains were all created under the Trump umbrella’s account and second the IP’s that these pointed to resided in Russia. In looking at these domains myself I noted a few other interesting factoids that I will share here for context. These domains were registered with Godaddy and then pointed to other IP addresses later on. Also, the sample I just pulled randomly show both being created in 2009 on 5/22/2009 to be precise. 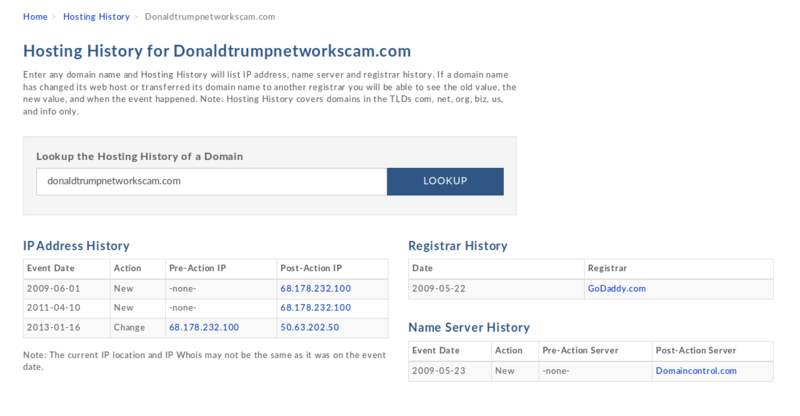 So the question for me is this, were these created by the trump org themselves as a means of stopping domain squatting or were they owned (Trump networks) earlier than we assumed from the article by Mother Jones? 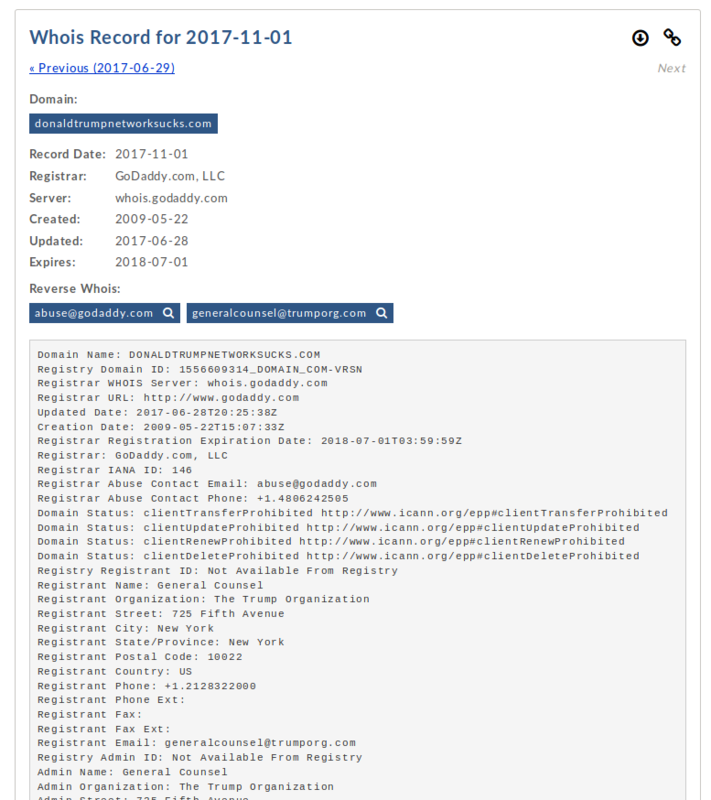 It is kinda of hard for me to think that Trump and his org would have been creating such domains as donaldtrumppyramidscheme.com to prevent squatting. Trump ain’t the sharpest marble on the internets and certainly Barron wasn’t an uber hacker back then right? Curiouser and Curiouser, but maybe they were being overly litigious and decided to take up all the permutations right? 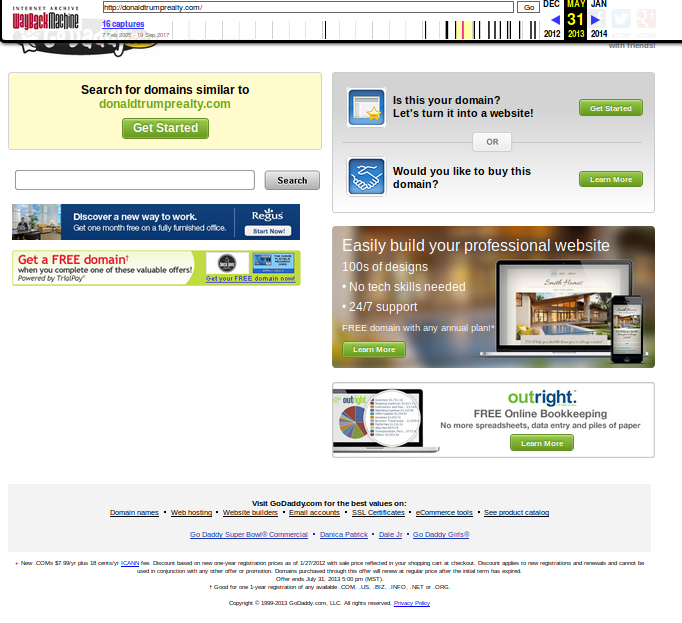 When the domains were created they sat on Godaddy from 2009 to 2013 when the IP changes. In the case of both of these domains on GoDaddy, the IP has a long storied history of having bad actors attached to it. …But that is GoDaddy for ya right? They aren’t the cleanest of the orgs out there so meh. 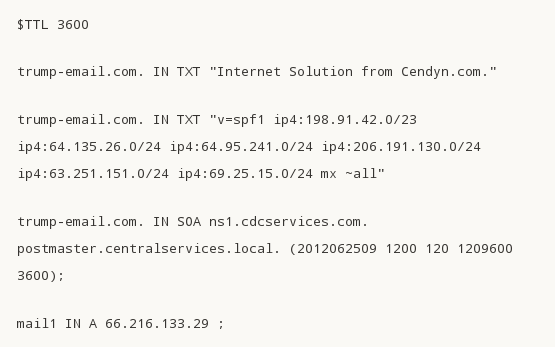 However, in 2013 the IP was redirected as Mother Jones showed to another IP; 184.168.221.41 which is also a GoDaddy IP. 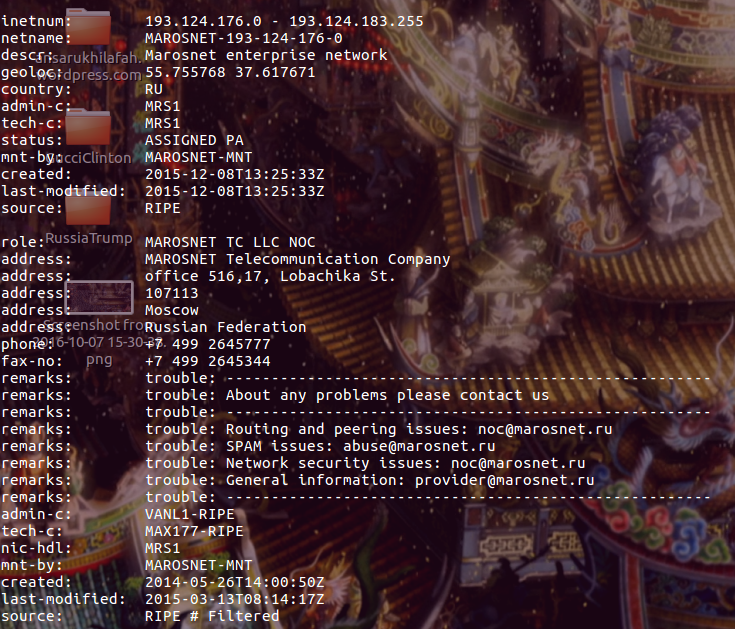 Now, looking at this IP in VT and in ThreatCrowd, you can see it also has a pretty dirty history as well. So was the change made by Trump or Godaddy? Or was this change made by the actors in 2013 to a host they owned in Godaddy? Now historically I am not able to see the malware history for the IP or the domain name for 2013, which would be a nice feature for VT and Threatcrowd to offer right? Anyway, the point is not all of the addresses were pointed to the Russian addresses in the Mother Jones piece. 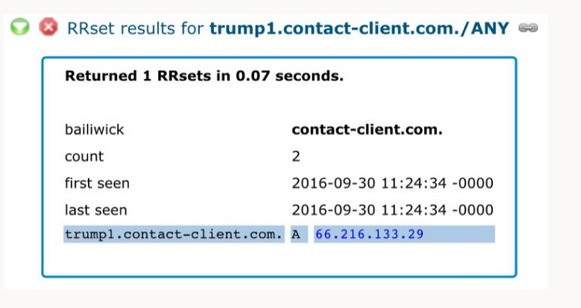 Over the whole of the domain space it is likely that the IP’s used by the actors who had access to the Trump registrar account were not only focused on the Russia space as C2’s go. 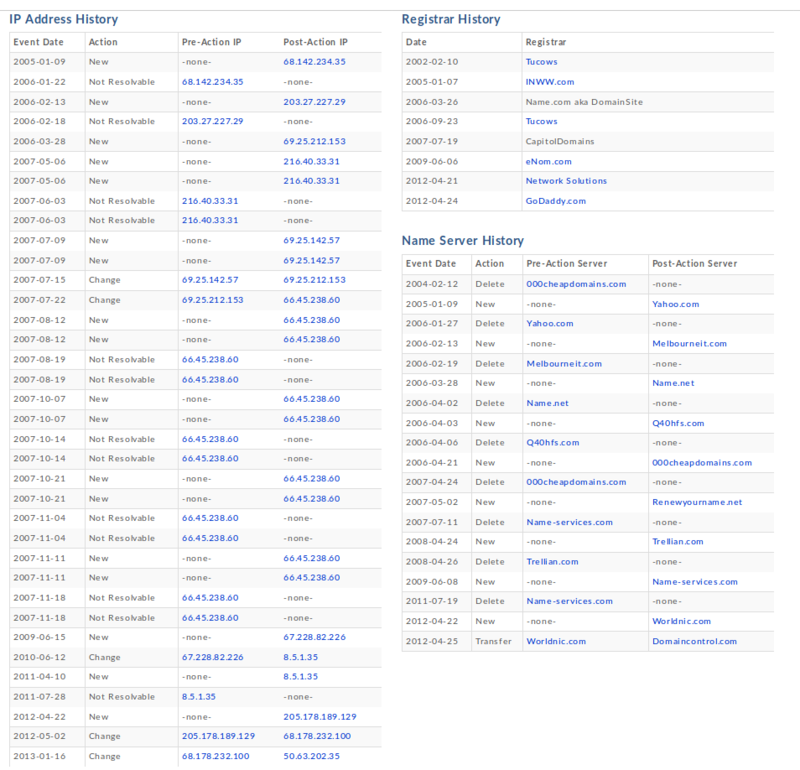 In fact the second sample I pulled also was changed to another GoDaddy IP as well that has some dirty history as well. So maybe these were moves by the trump org or maybe it was the attackers moving these around per their needs for each campaign? Inasmuch as I can tell many of these domains never had sites attached to them and were in fact just parked domains. However, in the case of donaldtrumprealty.com I see a lot of action moving this around the globe for IP pointers over the years. So what is the deal with that? 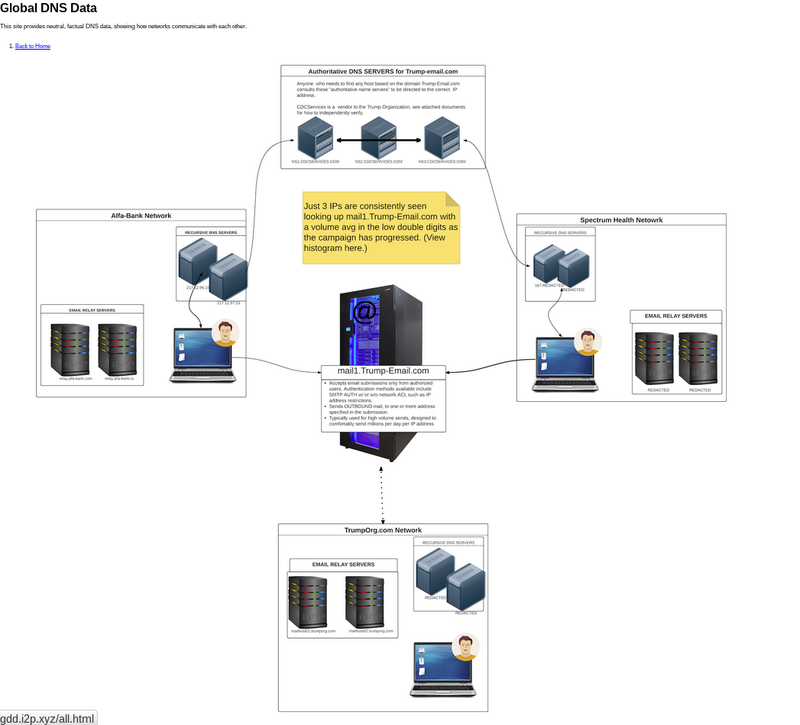 Looking at the Wayback Machine for this domain shows the following activity over the years. It’s been parked since inception but that parked page has some redirects and popups to potential scams. What does this all mean? Well, that Trump has not been paying attention to his domains and that what has been laid out is exactly the case. The only thing I can maybe say is that the activities have been going on longer than we are led to believe in the Mother Jones piece from the samples of IP changes I have seen in Domain Tools. If that is the case what else has been going on with Trump domains and perhaps their internal networks? See, this is the question that the Trump admin will not want to touch with a very long poll but it may also lend credence to the DNS stuff that was happening with the Alpha servers as well. If there was traffic going on that was amiss, and it was perhaps as others suggest, spam traffic, then maybe it was indeed the same actor using their domains and network systems to route traffic and not a secret plot against America huh? We do know that Trump Hotels had been popped back in 2014/2015 as they have admitted it. What we really don’t have any idea of was the level of compromise that occurred and just whether or not they were able to get them out of the network. What I am seeing here is that maybe they did not and in fact the adversaries used them for even more things.. And it may still be going on. Imagine that kids… Trumps networks owned and he may still be using them for things while in the White House? Just remember that Ivanka and Jarred were using that secret email server on that personal domain too! Anyway, there are over 3k domains and I am not spending all that time on all of them to track the IP changes over the years. Others can do all that leg work if they want to. 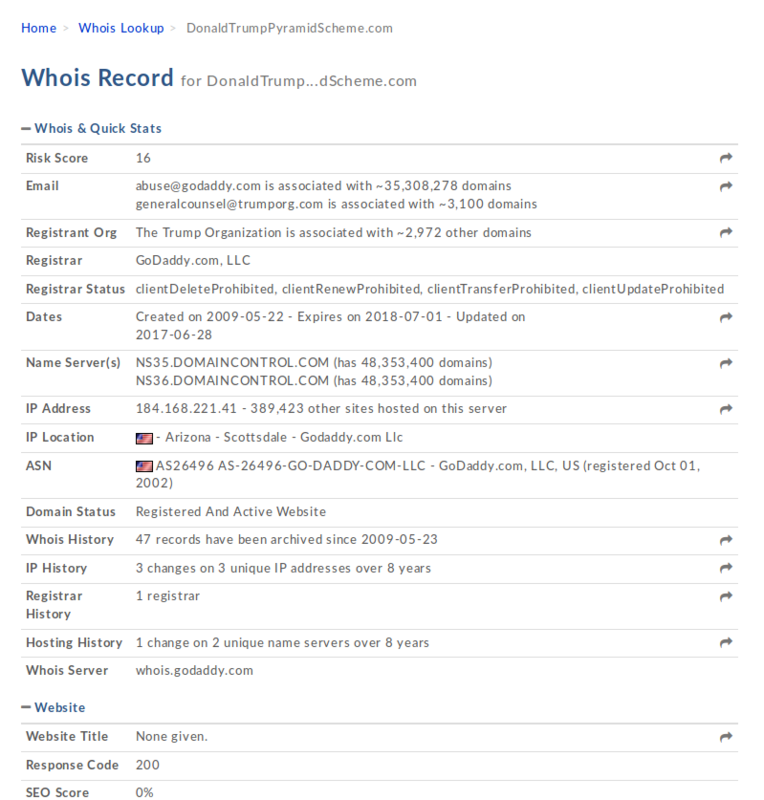 For me, this just shows that there may be much more that has happened with Trump networks and domains than we are aware of. Russian IP space does not imply KGB or GRU access but let’s just spin it this way; We know that the Russians use the criminal hacker groups to do their work as well as the actual operators from KGB and GRU so there is that. If the actors using these shadow domains for malware deployment, they may also have used them for other activities right? Maybe propaganda spam? Other stuff? Who really knows right? As for the malware involved with the cited IP’s and urls we see .zip files that only are seen by one or two vendors on VT (Kaspersky being the one continually) I am told that the files were in fact not zip files but jar files and java infrastructure to deploy malware. Which malware? Well, no one really knows at the present time that I am ware of. I could not get a sample of the alleged zip files and all the domains were non responsive and not in Wayback Machine to gather so there is that. It could be that these guys were using this infrastructure for Locky or they could have been passing out RAT’s so until we have some solid telemetry and samples it is once again, hard to say what went down. The interesting bit is that most of the RU I space I looked at all had stuff going on last August. Just in the middle of the election huh?